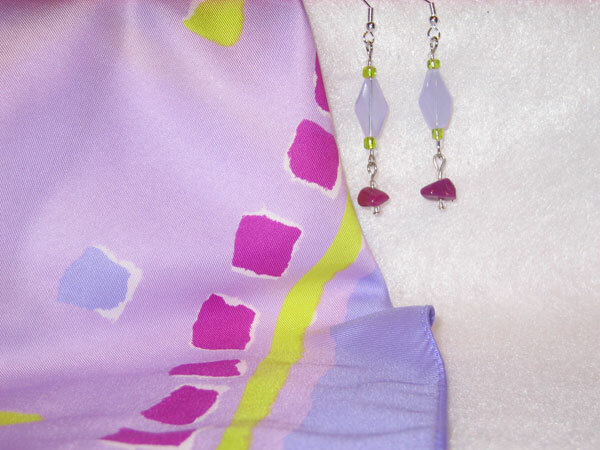 The scarf is 21 x 21 square with an abstract design in 2 shades of lilac accented in fuchsia and chartreuse. The coordinating earrings measure almost 2 inches from the finding loop and begin with a beautiful lilac glass bead surrounded by chartreuse and silver seed beads. The dangle is a fuchsia chip surrounded by silver seed beads.